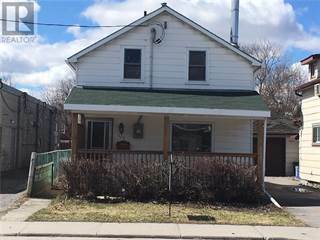 Houses for rent in Belleville, ON are easy to filter and browse through on Point2 Homes. Whether you’re looking for apartments for rent, furnished apartments, condos, single family homes, studio apartments, townhouses or any other rentals, you can get a list of properties based on your needs with just a few clicks. 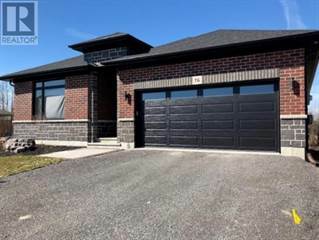 Rental homes in Belleville, ON on Point2 Homes are displayed with important additional information, such as property type, square footage and amenities, and the name and contact information of the real estate agent handling the property. You can also learn whether there have been significant price drops in the rent during the last 6 months. Whether you’re looking for rental apartments or generally homes for rent in Belleville, ON, on Point2 Homes you can tell whether you’re close to the amenities you need at a glance, by using the map view. And if you know exactly where you want your apartment to be in Belleville, ON, you can simply use the polygon or radius tools to draw around the area you’re interested in, and Point2 Homes will instantly show you all the rental homes there. How much is rent in Belleville, ON? There are two ways in which you can find apartments for rent based on price on Point2 Homes: you can either set the minimum and maximum price range yourself, or you can simply sort all the available houses for rent based on price, if you want to browse a wider range of rental homes. Once you’ve found a rental you’re interested in, all you have to do to get in touch with the listing agent is check the listing detail page – all the contact information you need will be there. 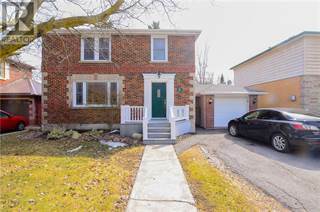 If you’d rather start with expert advice, getting in touch with professional agents in Belleville, ON is very simple on Point2 Homes. Simply go to Tools in the menu and find an agent. You get a list of featured agents in Belleville, ON, all knowledgeable and eager to help. Belleville is located in the southern portion of the province and is home to over 49,000 people. The city spans more than 247 square kilometres near the communities of Quinte West, Roslin, Shannonville, and Moira. Situated at the mouth of the Moira River on the Bay of Quinte, Belleville offers golf courses, conservation areas, and parks for outdoor recreation opportunities. Plenty of amenities can be found in the city, including schools, retail stores, restaurants, and entertainment options. Housing in Belleville is affordable, with average prices ranging from $190,000 to $350,000. The northern section of the city offers mostly newer built single-family homes, along with vacant land and plenty of commercial space. Industrial commercial space, older single-family homes, and vacant lots can be found in the central section of the city. Homes tend to be more affordable in this section. In the southern section, there is a mix of older single-family homes, vacant land, commercial space, and condo options. Compared to other communities in the area, Belleville has a fairly high vacancy rate at 4%, although it has decreased slightly over the past few years. Bachelor and three-bedroom (or more) apartments tend to have the lowest vacancy rates, with three-bedroom apartments seeing a significant decline in availability. The affordability of homeownership in the city has contributed to a lessened demand on rental units. Average rent costs in Belleville are around $650 for a bachelor apartment, $800 for a one-bedroom apartment, $910 for a two-bedroom apartment, and $1,100 for a three-bedroom (or more) apartment. Rent costs have increased slightly overall in the city, with two-bedroom apartments seeing the highest increases. Telecommunications, manufacturing, research and development, food production, print production, and warehousing and transportation are major industries in the city. Some of the largest employers include Kellogg Company, Parmalat Canada, Proctor and Gamble Inc., Norampac Inc., Sears Canada Inc., Redpath, Vision Transportation, Avaya Inc., Bioniche Life Sciences, and Decoma Autosystems. Food products manufactured in the city include chocolate, breakfast cereals, cheese and other dairy products, juices, sugar, and meats. Other manufacturing includes auto parts, beauty products, packaging, metal products, pharmaceuticals, and carpet tile. Belleville has several commercial areas, as well as designated industrial parks. The city’s unemployment rate is around 6.5%, which is on par with the national rate. Public transit bus services in Belleville are operated by Belleville Transit, which serves nine routes with its 15 accessible vehicles. Approximately 3,000 people use the service each day. There is one main bus terminal, at which all routes can be accessed. Bus service to and from the Toronto International Airport is provided by Megabus, and residents can also travel to surrounding communities using bus services offered by Deseronto Transit. Other transportation options include VIA Rail passenger train service and Greyhound long-distance bus service. Schools in the city are operated by the Hastings & Prince Edward District School Board and the Algonquin and Lakeshore Catholic District School Board. Schools in Belleville include Hillcrest Elementary School, Parkdale Public Elementary School, Queen Victoria Elementary School, Harmony Public School, Susanna Moodie Elementary School, Foxboro Public School, Centennial Secondary School, Moira Secondary School, Our Lady of Fatima Catholic School, Holy Rosary Catholic School, Nicholson Catholic College, and St. Theresa Catholic Secondary School. Private school options are also available. Post-secondary options in the area include Academy of Learning College and Loyalist College. Other options can be found in nearby communities and include First Nations Technical Institute, St. Lawrence College, KLC College, Smith School of Business, and Trillium College. Promise Land Family Fun Farm is located just outside of Belleville and is an interactive farm and petting zoo featuring peacocks, goats, llamas, donkeys, miniature horses, ducks, pigs, and many other animals. The 10-acre farm also has a number of play areas for kids, as well as an onsite food truck offering snacks like hot dogs, fries, and ice cream. The Quinte Sports and Wellness Centre offers a variety of amenities, including four ice rinks, an aquatic centre, a gymnasium, an indoor track, a senior centre, a youth drop-in room, three fitness studios, a public lounge area, and a multipurpose room. Activities at the centre include swimming, hockey, ice skating, yoga, aerobics, track and field, and personal training.